It’s officially fall, which means winter is not far behind. The good news is that winter weather in much of the country is expected to be milder than last year’s frigid conditions, and heating costs are also projected to be lower, according to a report from the U.S. Energy Information Administration. But the cost of heating one’s home should still be a considerable expense in most parts of the country. Heating is expensive enough already, so you don’t want to pay for heat that escapes out windows, doors and cracks rather than staying inside and keeping you warm. “A lot of time we’re generating energy that we’re sending out into the air,” says Marianne Cusato, the housing advisor for HomeAdvisor.com and an associate professional specialist at the University of Notre Dame School of Architecture. Fall is an ideal time to make repairs that will make your home more energy efficient, both saving you money and keeping you warmer. Even if you can’t afford major repairs, such as a new furnace or new windows, there are small things you can do to save big bucks on heating costs – and you can handle most of them yourself. Here are 13 hacks to winterize your home while also trimming your heating bill. Caulk around windows. Warm air can escape and cold air can enter your house if the area around your windows has cracks. Caulking needs to be replaced periodically, and you should check every fall for holes that need to be patched, as well as holes anywhere outside your house. “You want to make sure your [home’s] envelope is secure,” Cusato says. Replace weatherstripping around doors. If you can see light around the edges of your doors, you need new weatherstripping. “A small weatherstripping costs you five or six dollars, and it will save you hundreds of dollars in electrical bills,” says J.B. Sassano, president of the Mr. Handyman franchise company. Put up storm windows and doors. If you have older windows and doors, adding storm windows and doors can help considerably. Window insulation film is another option to provide a layer of protection. “It really insulates the window,” Sassano says. Add heavy drapes and rugs. Changing light summer drapes for heavy winter drapes was common in earlier times, and it’s still helpful, Reagan says. Drapes can keep the room warmer, while putting down rugs provides a layer of insulation above the floor. Improve your insulation. 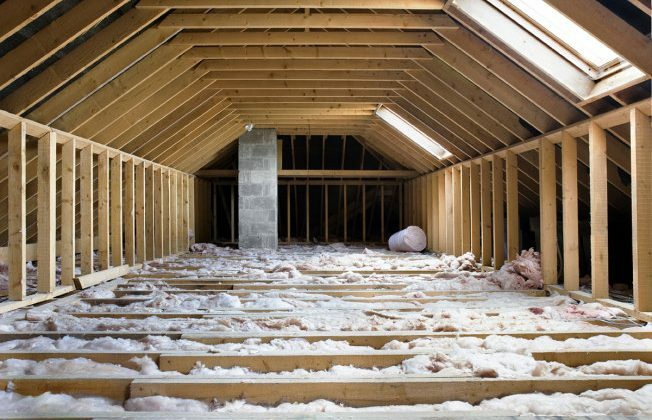 Insulation deteriorates over time, so you may want to add more material in your attic. Other places to add insulation are in crawl spaces and exposed areas of decks. Sassano also recommends creating a false ceiling in unfinished basements and insulating between that ceiling and the living area. An insulating cover over your attic opening also helps trap in the heat. Cover your water heater. You can buy a water heater blanket for around $20 at the hardware store that will keep the tank from losing heat as quickly, saving you money on your heating bill. Get an energy audit. Many utility companies will provide a free energy audit and give you suggestions on improvements you can make to your home. 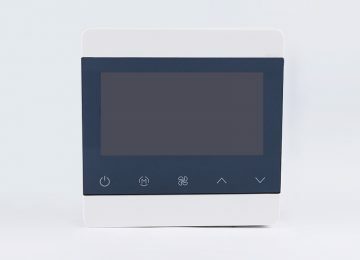 You can also pay for a more extensive energy audit. “They’ll look at all the places you’re losing energy,” Cusato says. Change your furnace filters. If the filters are dirty, your furnace has to work harder. 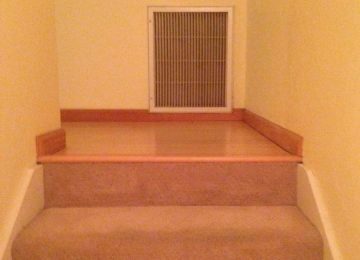 In most homes, filters should be changed monthly in the heating season. You should also have your furnace serviced periodically to make sure it is working properly. “It’s easy to overlook but it can mean your system isn’t working efficiently,” Cusato says. 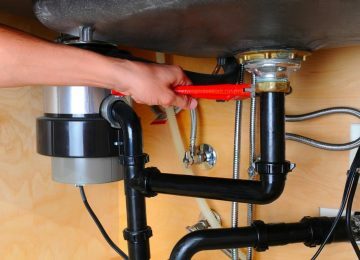 Lower your water heater temperature. You can lower it from 140 degrees to 120 with no ill effect, Cusato says. And 120 degrees is the temperature recommended by the Consumer Product Safety Commission. Replace less efficient windows and doors. Adding double- or triple-pane windows, insulated doors and insulated garage doors will significantly improve the energy efficiency of your home. Lower the thermostat. It’s actually more comfortable to sleep in a colder home, and you can always add more blankets. When you’re awake, wear a sweater or sweatshirt to stay comfortable with a lower thermostat setting.